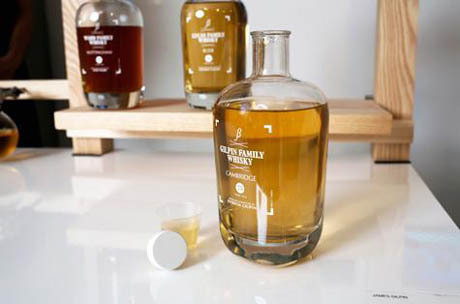 IMAGE: James Gilpin apparently offered visitors samples of his Family Whisky at the RCA Design Interactions exhibition (but Regine was too chicken to try it!). Image courtesy James Gilpin. With apologies to those who might be reading this over their morning coffee or tea, today’s post collects three projects that follow the food chain all the way through the digestive system and out the other side. Firstly, over at we make money not art, Regine has published a fantastically interesting post about Gilpin Family Whisky, including a short Q&A with its creator, design student James Gilpin. 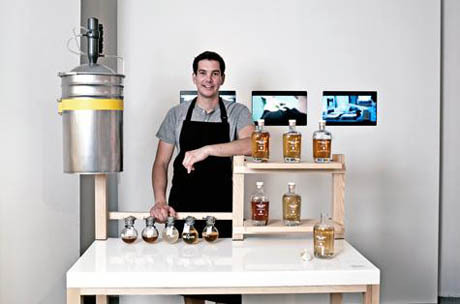 Using an initial donation from his diabetic grandmother, Gilpin has developed and refined a process to produce “high-end single malt whisky for export” from the sugar-rich urine of Britain’s elderly. IMAGE: Gilpin Family Whisky, photo via James Gilpin. Gilpin’s breakthrough—the idea that sugar crystals extracted from old people’s pee could be fermented to produce alcohol—turns something that is generally regarded as a symptom of bodily failure into a positive enhancement. In the light of Gilpin’s tongue-in-cheek vision of retrofitting every old people’s home with a DIY distillery in the garden, busily churning out high-value “biologically-enhanced whisky,” my own, normal blood sugar levels seem somewhat boring. This, of course, is exactly Gilpin’s point. IMAGE: “Humble Pile,” by Nance Klehm. These kinds of guerrilla, sewage-system hacks are — unsurprisingly — frowned upon by neighbours and city officials alike. As a result, Klehm kept her stockpile of human excrement hidden “in an undisclosed storage area in Chicago” throughout 2009, as it composted into “black gold.” Her project recently culminated in “The Great Give Back,” as participants received their portion of the rich new soil, ready to feed balcony-grown tomato plants and community gardens across the city. 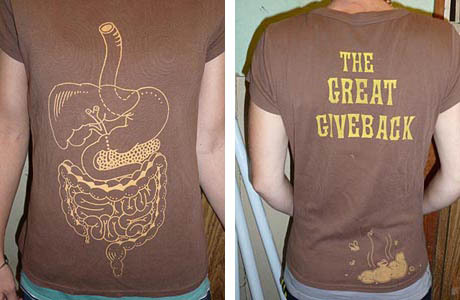 IMAGE: The Great Give Back T-shirts, designed by Nance Klehm. IMAGE: “24hrs of pure silver leaf” by Tobias Wong. You are confusing sewage sludge with straight composted poop. Sewage often has industrial inputs. Straight poop does not. In the 70s there was a recyclingprogram in the chicago area called nu earth or new earth ( human waste) we put it in our garden only to find months later that their were huge levels of toxic metals found in that soil. we never could garden there again. Human waste is famous for this attribute. 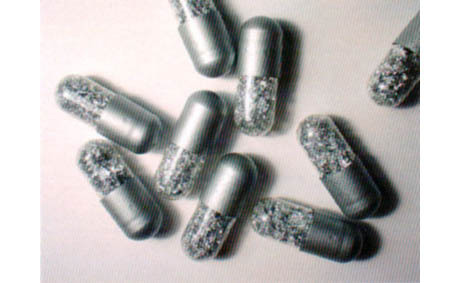 Cadmium,lead to name afew. Do your research. LOL! We have to overcome years of prejudice to fully appreciate this article! This reminds me of the very expensive coffee beans naturally fermented in civet poop in Sumatra, then collected and washed. It’s all a matter of perspective.